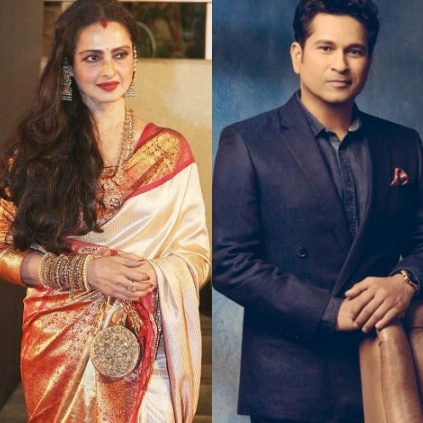 Sachin Tendulkar and actress Rekha Ganesan are among the nominated members in Rajya Sabha and as per reports, they have just attended very few days of session in the upper house of the parliament. While Sachin attended 23 days out of 348 days since his nomination in 2012, Rekha was present only for 18 days. It is reported that Rekha attended the least number of days compared to those who were nominated along with her. According to Rajya Sabha data, the expenditure spent in terms of salary and expenses on Sachin Tendulkar was 58.8 lakhs and it was 65 lakhs for Rekha. Ram Gopal Varma’s latest controversial statement: "He is the greatest woman i saw in my life!" People looking for online information on Rajya Sabha, Rekha, Sachin tendulkar will find this news story useful.